If you’re flying in the coming months. . .
you’ll want protection while in the air and at your destination. The only times I’ve taken ill from flying is when I forgot (!) my kit. I’ve made it easy for you. . . .
so all you have to do. . . is remember to take it! Please contact me for cost. Her DVD, The Healing Kitchen, a filming of her acclaimed workshop, is now available so you don’t have to be local to benefit from these empowering teachings. 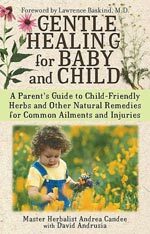 Also available in hard copy or in PDF format are her booklets: Herbs, Recipes & Guidance to Winter Wellness; Sparkling Home, Healthy Planet, Clean Green, and The Cell Phone Dilemma…options for wellness in an unseen world. Is Carbonated Water Your Best Choice? Oh no…now it’s risky to have toast for breakfast? !